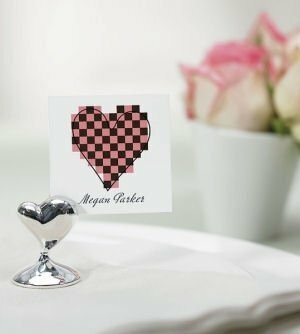 SHARE These whimsical heart seating card holders are sure to make your reception tables look great! 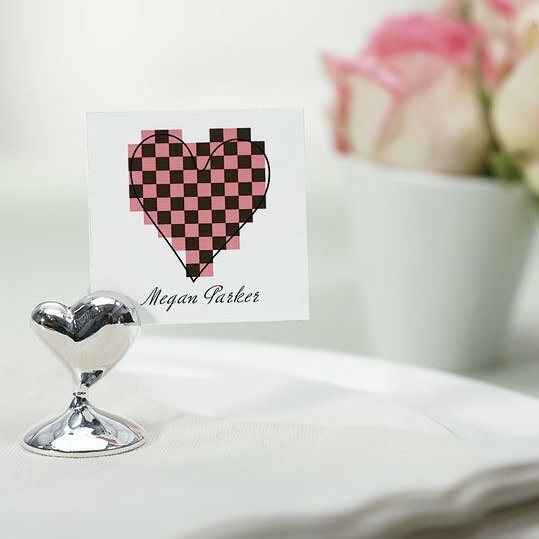 They are perfect for table numbers or individual guest seats. 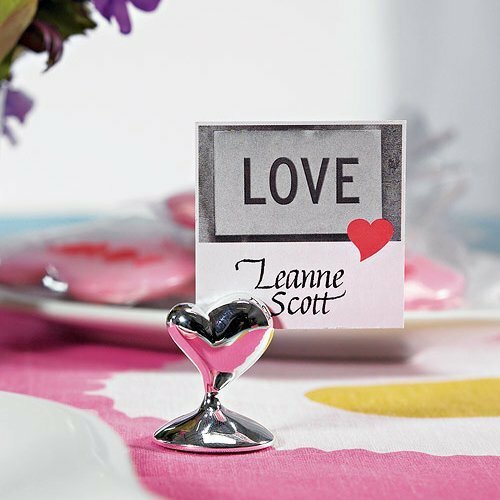 They could also be used to hold a small menu or your personal greeting. 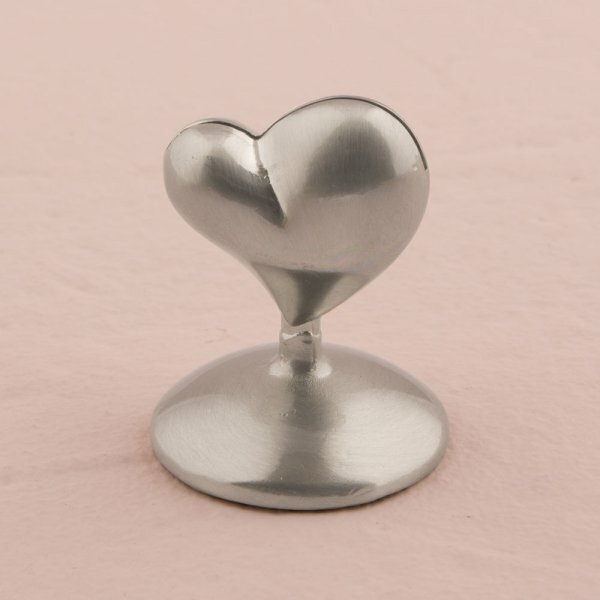 With the "swish" heart design, these holders add a modern, welcoming touch to any table setting. Each holder stands approximately 1 5/8" tall. Sold in packages of 8. 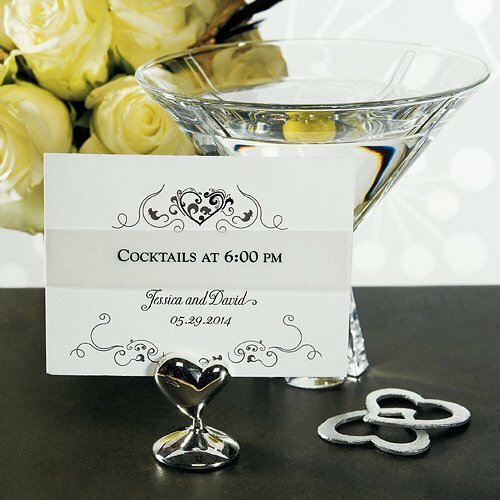 Place cards are not included.